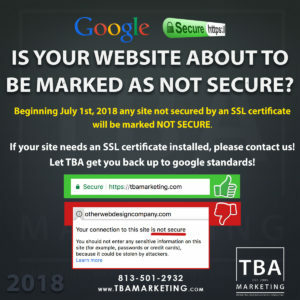 Google has sent out a warning to domain owners, web masters, & developers that beginning July 1st, 2018 any website not secured by an SSL certificate will feature a popup screen that says “This Site Is Not Secure”. Soon-after Google will begin de-ranking non-secure sites in their search engine. Google says its Chrome browser will mark HTTP websites with input fields (such as contact forms or those that require login details, taking payments, etc.) as not secure, starting July 1st. The company gave advanced notice of this in late 2016, but has now taken the step of formally notifying any webmasters who will be affected as the change gets closer to implementation. The message was sent to webmasters via Google Search Console to all registered developers, but effects everyone who owns a domain. 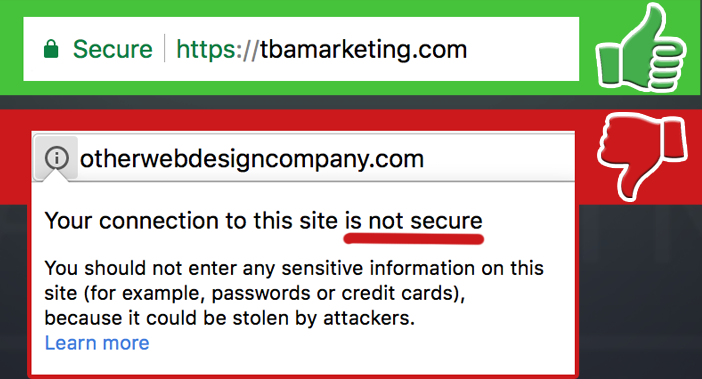 Sites that are HTTP and have credit card fields or require passwords are already marked as not secure; a warning to potential customers that their info is at risk. Since its official post, Google stated that its efforts have already resulted in a 23% reduction in the “fractions of navigation to HTTP pages with passwords or credit card forms on desktop”. When the new warning kicks in, HTTP sites will have a ‘Not Secure’ label displayed in the address bar as shown here. If your site is currently a HTTP domain, you will need to migrate to HTTPs before July 1st to avoid your web traffic being warned off visiting your site. 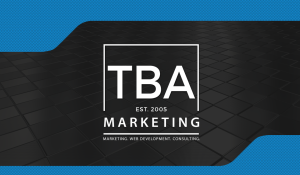 If you need help in doing so, TBA Marketing offers SSL installation, whether you are hosting your website with us or not. Call 813-501-2932 or click contact us and submit a ticket. Subscribe to our blog for a full guide on how to migrate your website to HTTPs, along with the benefits of doing so. No worries, fill out the contact form and we’ll take a look at your website and be in contact within a few hours to provide you a quote on installing an SSL certificate for you.